During a special ceremony, on January 18th at the Toronto's Enercare Centre (Exhibition Place), as part of the 61st Toronto International Boat Show, Princecraft Boats Inc. was awarded a 2019 Employer of Choice – Marine Business category, by the Boating Industry Canada Employer of Choice (BICEOC) Award Program. This award recognizes Canadian marine employers who have developed distinctive strategies to attract and retain employees. The seasonal nature of the industry and, sometimes, remote work locations are making it ever harder to hire and keep staff. This year, Princecraft elaborated strategies to reverse this trend. Over the past year, Princecraft clearly solidified its already strong presence in the Canadian market and continued to dominate more and more waterways in the United States. Its pontoon plant production capacity increased by 90 %, creating over 100 new jobs. Flexible work schedule and possibility of boat usage, Wellness Program to foster a healthy lifestyle, Referral Program, elaborate and well executed Health/Safety Program, low absenteeism, average seniority is over 20 years of service, opportunities for career growth, etc., all are measures, incentives, and facts that make Princecraft stand out this year. The 2019 Employer of Choice award also helps reinforce the positive brand image that Princecraft already has and becomes a competitive advantage for attracting and retaining top talent. 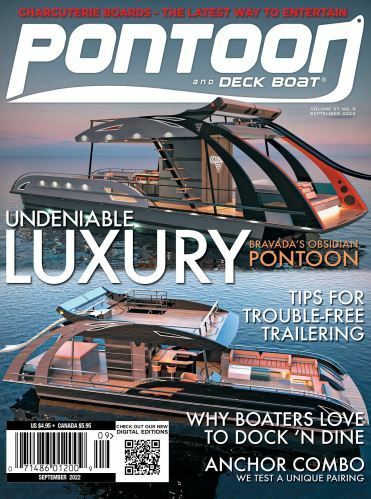 It honors Princecraft's ongoing efforts to make its workplace both productive and enjoyable and to reward 64 years of building quality fishing and pleasure boats for the entire family.